When you become a parent you’ll find yourself bombarded by friends, relatives, and complete strangers all lining up for the chance to warn you that your child will grow up way too fast. They’ll remind you that one day you’ll miss hearing the sound of your kid screaming your name at 2 a.m., and so you really ought to enjoy every single precious and fleeting moment. The problem with these words is they’re incredibly unhelpful when your toddler’s in the middle of a meltdown because the free supermarket cookie doesn’t have enough sprinkles on it. People mean well, but in the moment, they can make you feel guilty for not cherishing each second of your child’s existence. The truth is, childhood does go by in the blink of an eye. There are many parts to be treasured, but it’s also totally normal if you don’t love every waking minute. Parenting is difficult, kids are expert button-pushers, and admitting that life is not always perfect is healthy and necessary. So forget about feeling shame for not basking in each milestone—that’s unrealistic. Instead, take comfort in knowing you’re not alone. Potty Training. This one’s pretty self-explanatory, but just for fun let’s recount why it’s so awful. First, the urine soaked clothes, bedding, and carpets. Pretty much everything in your world will take a direct hit at some point during the potty-training phase. Nothing is safe from a tiny untrained bladder that doesn’t realise it needs to relieve itself until it’s already streaming pee all over your couch. While the sheer volume of liquid that your little person can produce is impressive in its own right, the eau de toddler pee smell will live in your scent memory forever. Not to mention, you’re you’re a prisoner to both the bathroom and the laundry room during this phase. You’ll love your diaper-free life once potty training is over, but the effort it takes to get to that point will almost break you. Tantrums. Tantrums are like tornadoes. They hit without any warning, spin wildly out of control, and leave utter destruction in their wake. 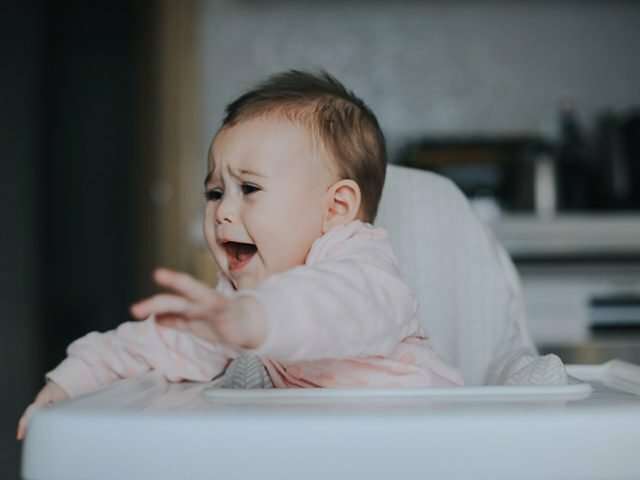 Tears, screaming, biting, crying: A tantrum can produce some of these things and sometimes all of these things. Whether one strikes in the middle of the supermarket because you won’t let your child rip open boxes of cereal like tiny versions of Wolverine or in a restaurant because you’ve put your foot down about squirting tomato sauce all over the table, tantrums of any kind—even the ones that occur in the safety of your own home—are soul-sucking, humbling, and mortifying. Reading THE Book. Every parent has THE book—the one story their child insists they read each night. At first, it’s sweet and you oblige because you want to encourage a love of the written word. But after reading Brown Bear, Brown Bear What Do You See? for the 600th time, you may develop an eye twitch at the mere mention of a bear. Or the colour brown. You try hiding the book with the hopes that you can encourage your child to try something new, but this is a bad idea because they won’t go to sleep until they’ve heard it. And so you read it again and again until you can recite it in your sleep. Eventually, you may develop a fondness for their once-favorite story, but you definitely won’t miss reading it every. single. night. Bedtime. The actual hours of sleeping time you will miss. There’s nothing quite like peeking in on a slumbering child. They look so angelic and peaceful. But the work it takes to get them to fall asleep is something you won’t shed a tear for. No one can stall like a child who’s been told it’s bedtime. Kids have a way of turning into dehydrated philosophers once the sun sets, making a habit of requesting one last sip of water as they pepper you with questions about life on Mars and where we go when we die. You certainly won’t miss arguing with a smaller version of yourself about why sleep is essential to their well-being. Dinnertime. At some point, all kids go through a phase of disliking certain foods. Usually, it’s whatever food you’ve just made for dinner. One day mac and cheese is their favourite, and the very next week they look at you like you’re crazy for not knowing it’s now on their top 10 list of most-despised delicacies. You just want to keep your kids healthy and be able to tell the pediatrician that yes, your kids are getting enough fruits and vegetables. Instead, your children act like you’re trying to poison them with broccoli. Nail Clipping: When you take your bundle of joy home from the hospital no one bothers to tell you this tiny creature’s nails are essentially weapons. They’re like little knives that grow even faster than the pile of laundry you’re ignoring. Using nail clippers on the precious fingers of your sweet wiggly babe without drawing blood is the ultimate new parent test—one that most of us fail. We don’t blame you if you’re jumping for joy the moment they develop the dexterity to trim their own claws. 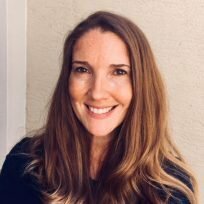 Kari is the creator of My Questionable Life blog, and she writes because it's the only way for her to finish a thought without being interrupted by her two kids. You can follow her on Facebook and Instagram. Mumtastic.com.au is a property of The Mum Collective, an Evolve Media LLC company. Copyright 2017. All rights reserved.